Whether flat, side-gusseted, or the original hard-bottom bag, we can print your design beautifully in up to 10 colors, in small or large quantities. Let us show you the industry-leading quality of our printing and bag converting. For catering the variegated needs of our clients, we are deeply engrossed in offering a qualitative array of Groceries Plastic Bags. We offer Mihir Polythene Bags to our clients. We are a remarkable entity in this domain, engaged in offering a qualitative assortment of Small Carry Bag. 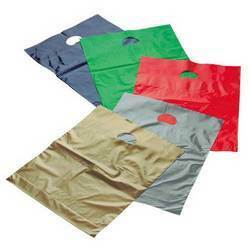 Available with us is a range of carry bags that are available in a variety of sizes and colors. The features that make these carry bags an apt choice are their environment friendliness and high endurance. 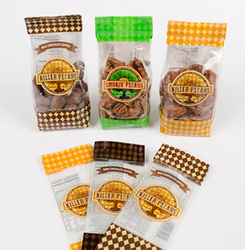 These recyclable bags can be tailor-made as per the specification provided by the client. We are offering qualitative printed poly bags that are widely used in various shopping malls, departmental stores, cosmetic products, sweet shops etc. These are offered in different shades and designs, which can be custom, designed as per client’s specific requirements.